A drove of 80 architecture students from Illinois Institute of Technology in Chicago visited us at Practice·Space during their architectural tour of Detroit. Led by professor Monica Chadha, IIT students got an intro to Practice·Space and heard from PS Residents, Allison Kruske and Josh Lipnik. 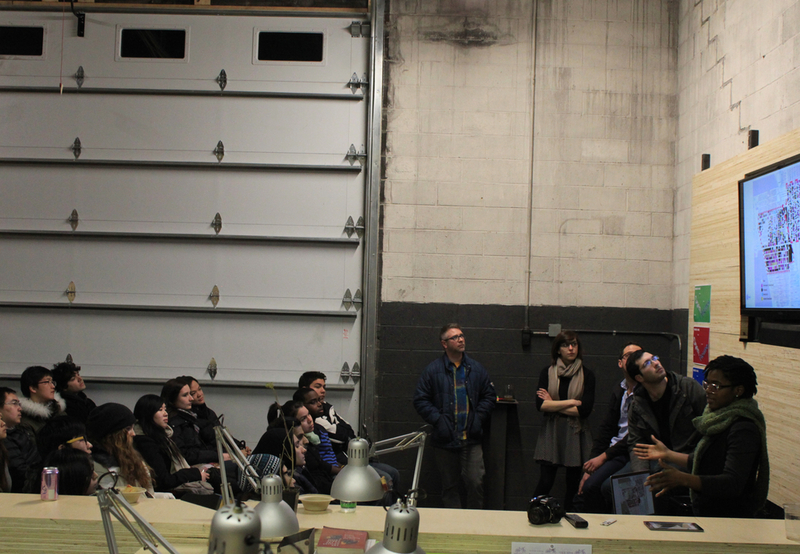 To cap the night off, guest speaker Rebecca "Bucky" Willis shared a presentation of her Detroit-based projects.